This reader really nailed the book perfectly. 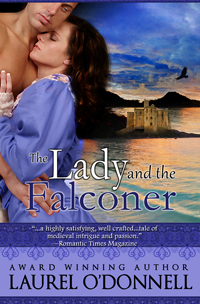 If it sounds ilke a book you would also enjoy, you can read more about The Lady and the Falconer here. This entry was posted in Medieval Romance Monday and tagged laurel o'donnell. Bookmark the permalink.